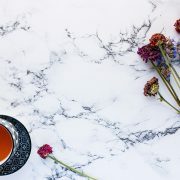 Often we have customers come into our gallery who have already ruled out picking marble as their natural stone kitchen benchtop or island. Some don’t want to deal with the maintenance and others are under the impression that all marble is too delicate. This can be true if looking at Italian or Greek marbles which need a little extra TLC. 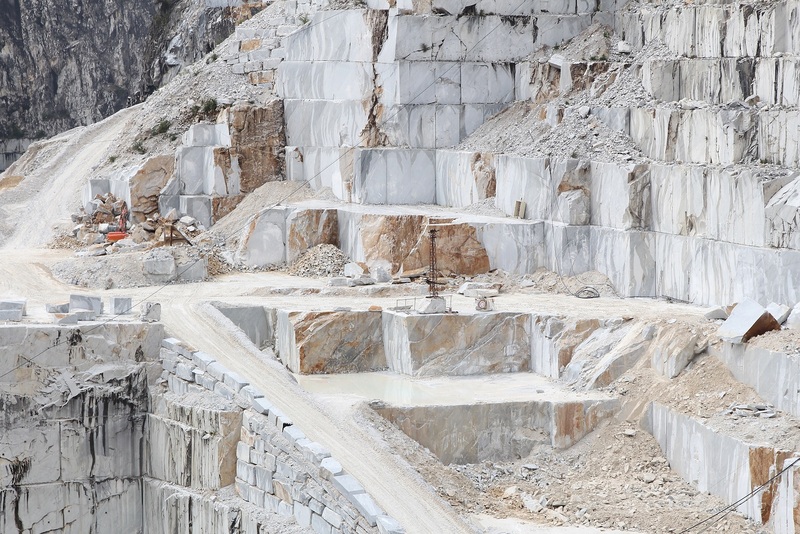 They require being resealed more often and are more absorbent and porous compared to a quartzite or granite. But here, we have a huge selection of hard marbles from India and other parts of the world. 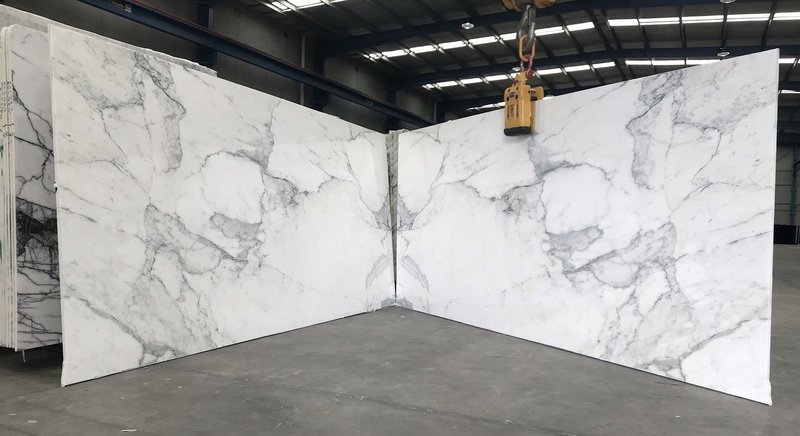 These are slabs that are classified as marble but perform like a quartzite or granite and are a perfect option for your home! Geologically, how are these hard marbles harder than your typical soft marble? From the beginning of the natural process, sedimentary stones start with limestone; a compacted seabed of crushed shells. This is the softest and most porous of all the marble family. The top powdery layer of the limestone bed doesn’t contain any of the seashells but more of a fine powder of crushed shells and lime. This mix compacts very well and is what is called a dolomite. Dolomites are typically harder than limestone, thanks to its fine powder that compacts better. When the limestone or dolomites are further compacted with heat and pressure, they enter a metamorphism process and become marbles. If the compaction is extreme, this is when the resulting marble can turn harder and denser. 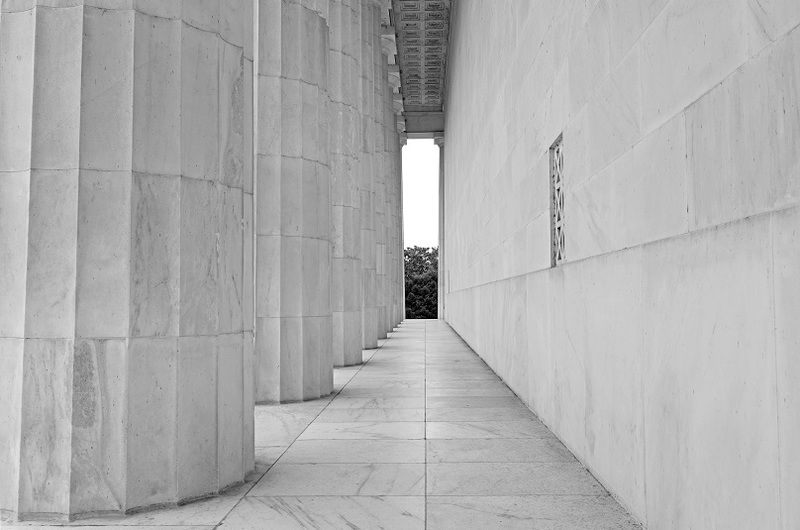 Think of Greek or Italian marbles not getting to this point, hence them being softer, less dense and more porous. This stage in the process establishes the difference between soft marble and hard marbles. There is no scientifically proven answer as to why these harder marbles are coming from Indian quarries. Maybe because they have been quarrying for much shorter than the 2,000 years that the Carrara mountains have been excavated from. 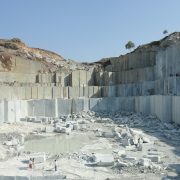 Some have speculated that the Indian quarries have been untouched for so long that the minerals have been left beneath the crust of the earth to crystallize under heat and pressure for a longer period. Or it could simply just be due to the forces of nature over millions of years. Fantasy Brown is a well known Indian hard marble amongst the industry. Its makeup, performance and its type is summed up perfectly below, from the article Is Fantasy Brown a Marble or a Quartzite?. “It mostly does perform like a quartzite or a granite. It’s a great stone. Geologically it does have some calcium carbonate & thus is a marble. A very hard marble. 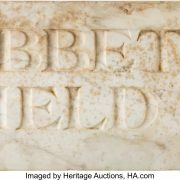 Even so, we have never noticed it etch, but since there’s some calcium carbonate we called it what it is – marble (just in case).” – Jeff @ Architectural Granite and Marble, Ltd. (AG&M). As it goes for any stone, we do still strongly suggest to our shoppers that sealing is a must for these hard marbles. The slabs are still compromised with calcium carbonate that reacts with acidic substances. A sealer applied by an industry professional will protect and buy you much more time to wipe up spills that can react with marble! A New Zealand-based lingerie brand is celebrating women of all shapes and sizes. A stunning new underwear campaign sees models posing alongside classic Italian Carrara marble sculptures. Lonely Lingerie enlisted photographer and artist Yumna Al-Arashi to shoot models Naomi Shimada, Riya Hamid, and Ayesha McMahon at a classic marble atelier in Carrara, Italy, for its Autumn/Winter 2017 campaign. Since Ancient Roman times, sculpt depictions of the female form have been carved out of Italian Carrara marble. And the three models look right at home posing next to the statues’ marble curves. The brand prides itself on its honest representations of women. The company explained that ‘modern portrayals of women have never been more unrealistic,’ in comparison to classic works of art. ‘Where once curves, imperfections and realism were celebrated, many representations of women now seek unrealistic and potentially damaging ideals.’ Lonely said in a press release. Unlike many advertisements found in today’s media, Lonely’s campaign aims to honour the female form rather than depict unobtainable body shames, homogenised ethnicities and cultural backgrounds, and heavily edited and retouched images. 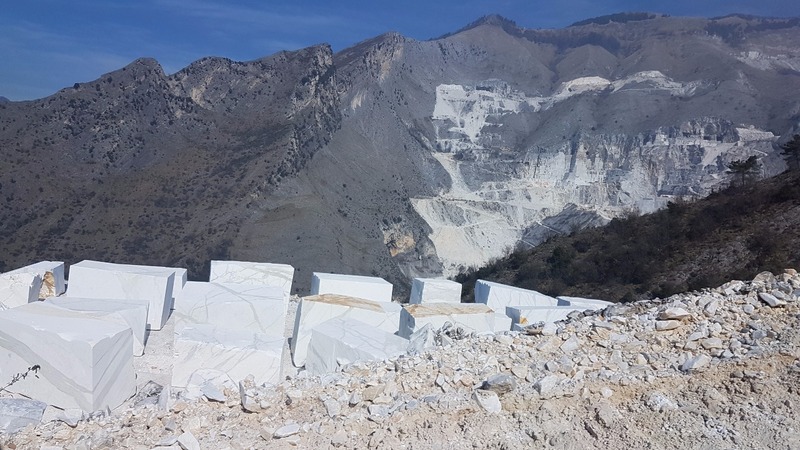 Carrara’s marble has been used to make some of the world’s most famous sculptures, including Michaelangelo’s David and Pieta. ‘I visited an incredible atelier in Carrara. 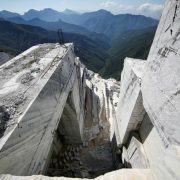 Home to some of the most famous marble quarries on this planet.’ she said of her inspiration behind the shoot. 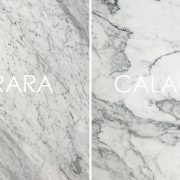 Check our Italian Carrara marble range.